The BritCits blog reports today that the Supreme Court has granted permission to hear the appeal in the case of MM and Others on the minimum income requirement for partner visas in the Immigration Rules. 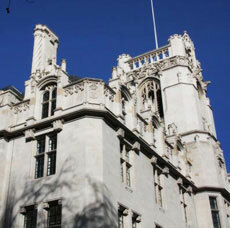 The case of MM and Others first came before the High Court in 2013 and Justice Blake concluded that while the Immigration Rules were not unlawful, the earnings threshold would amount to a disproportionate interference with family life if combined with one of the four other requirements in the Rules. Last July, the Court of Appeal allowed the Secretary of State's appeal against that judgment and found that the £18,600 minimum income requirement for partner visas was "justified". According to BritCits, the Supreme Court will now hear the case with MM as the lead appeal, with the other cases to only deal with the points that MM has not dealt with. The date of the hearing is still to be confirmed, though BritCits says it is unlikely to be before autumn. For more on the financial (minimum income) requirement for partner visas, you can read a comprehensive March 2014 House of Commons Library Standard Note here and a July 2014 update here.